We had been trying to decorate our tree all week, but my husband was late every night. If your home is like mine and you have littles, you know the delicate balance with food and fatigue in the school-night witching hours. 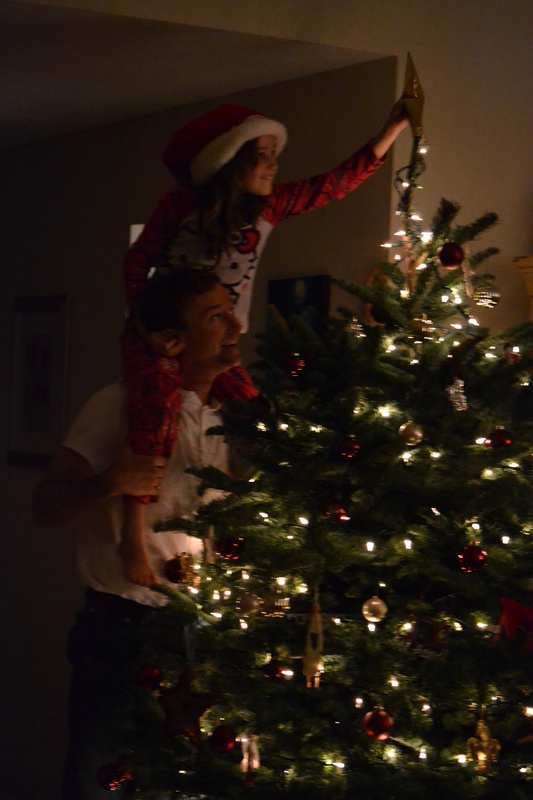 If decorating the tree is going to be joyous and celebratory, it is best to avoid the cranky hours. It could have gone from “Deck the Halls” to “Deck Each Other” faster than you can say Jingle Bells. So we waited until Friday night and I planned a dinner that could be grazed. That way I could stave off the hangry monsters while we waited for Daddy and I could start sipping so all would be merry and bright by the time we began. It was a gorgeous 70 degree Texas winter kind of day, Pinot kind of day, and I had a sample I’d been holding on to for the right time. 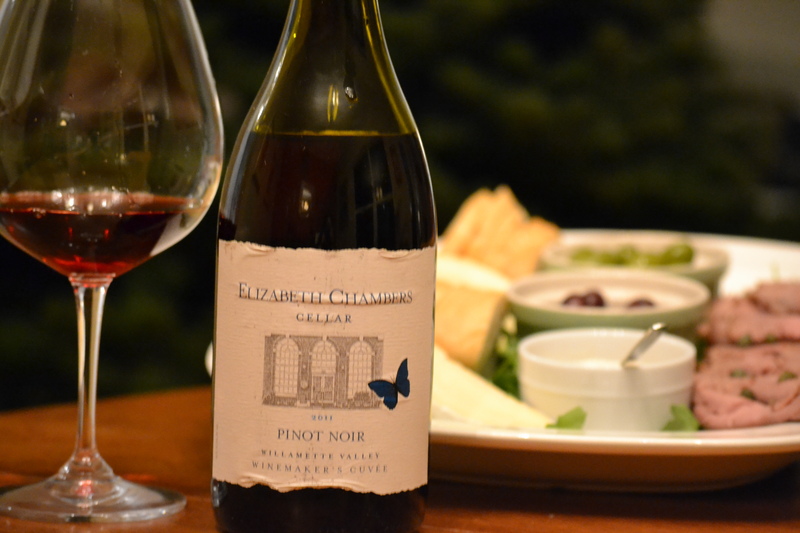 Last night was the right time to try the 2011 Elizabeth Chambers Winemaker’s Cuvee Pinot Noir. Although this is the first wine released on a national basis, the Chambers family has been involved in winemaking for nearly a quarter of a century in Oregon. Her winemaker, Michael Stevenson, sources grapes from some of the top growers in the region, a region known for their Pinot Noir. In the glass, the wine shines and although I’m pretty sure there is a better descriptor, I kept thinking “raspberry cola.” On the nose, red and black berries with baking spices. The flavor profile made me feel like an autumn walk in woods. Red and black fruit, cola, mushroom, anise, and soft leather. This wine is medium bodied with softer tannins although the acid gave it a chewy mouthfeel. This wine has all the classic Willamette Valley Pinot Noir qualities that I had been craving all day. 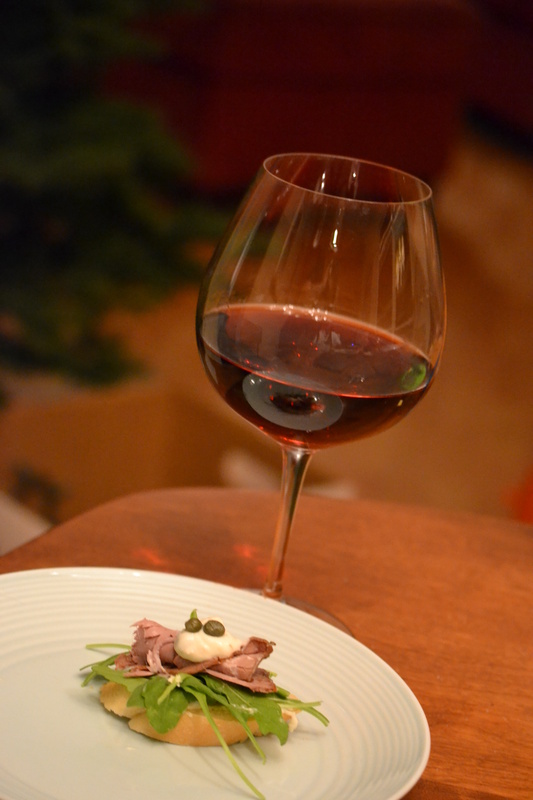 Our repast consisted of cold-cut roast beef, brie, arugula, black and green olives, capers, and horseradish mayonnaise. I served it with a baguette and a salad of arugula, pear, bacon, and shallot dressing. The acidic olives, the earthy spice of arugula, creamy tang of the spreads and the beef all complimented one another and the wine. It was perfect for nibbling and a spread I will revisit this holiday season. I would welcome Liz and her wines at my table anytime. The lights are strung, the stockings hung. My littles danced in their Santa hats and semi-evenly distributed the ornaments. You won’t ever see my tree on Pinterest, but it was made with love. And it is done. Many thanks to Gregory White PR , Michael Stevenson and Liz Chambers for the holiday cheer and for adding a little elegance to our tree-trimming.